Has anyone ever seen a Koala and a Moose in the same picture? Questions like this keep me up at night, seriously, has anyone ever? Okay where is Santa Clause? He uses Moose too. 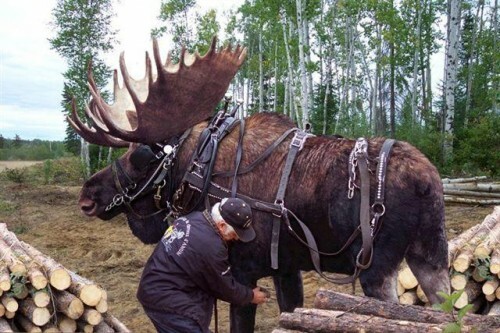 This is the most manly a moose can be. I’ve heard of someone who could kill and field dress one of those, you Betcha!